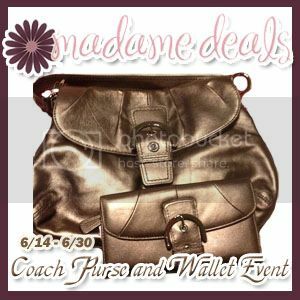 It's time for another great Coach Purse and Wallet Event! With summer upon us, now is the time to win a great new purse and wallet to show off with or to just look even hotter. Aren't the colors great? Perfect for summer!